With enriched industrial experience and knowledge, we are engaged in offering a wide range of CI Casting Flywheel. 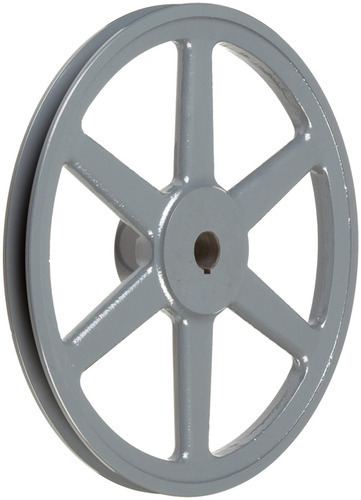 The offered wheel is extensively used in various industries. Provided wheel is manufactured by our experts using innovative techniques and beat grade factor input. This wheel is checked at various quality parameters by our quality inspectors before the final dispatch. Established in the year 2013 in Rajkot (Gujarat, India), we “Laxminarayan Casting” are known as the leading manufacturer and supplier of a qualitative array of CI Casting, Wheel Casting, Valve Casting and Motor Body Casting etc. Our complete product array is highly demanded for the features like corrosion resistance, superior quality, robust design, sturdiness and precise finish. Under the direction of our Director, “Rajni Hapani”, we have gained great height of success. Our director has constantly inspired us to deliver our customers with the finest quality products. The product array offered by us is manufactured in compliance with the international quality standards using high quality raw material and advanced technology. These products are also examined on defined parameters fir assuring the complete flawlessness of the product gamut. Our clients can avail these products in various specifications as per their demands.